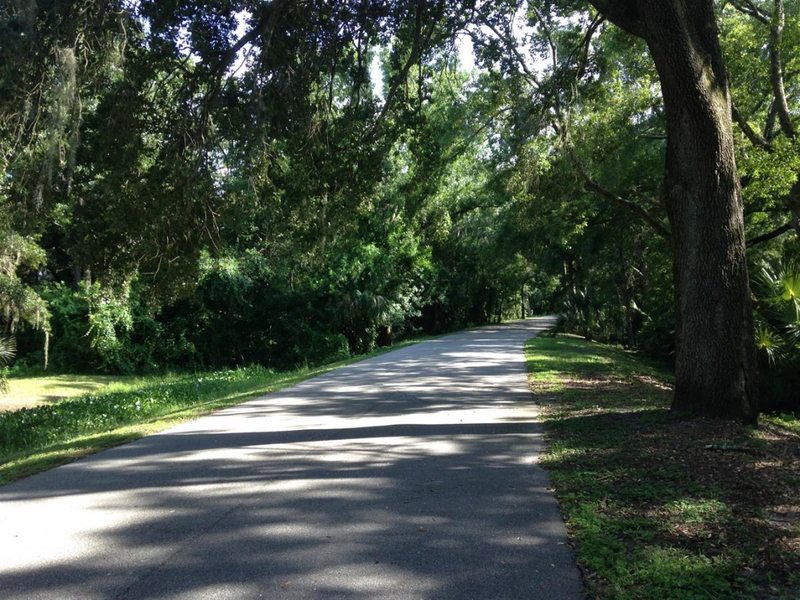 The Cady Way Trail is a 6.5 mile long trail through Orlando, Florida. With plenty of other local trails to connect to, it is a great way to see the city. 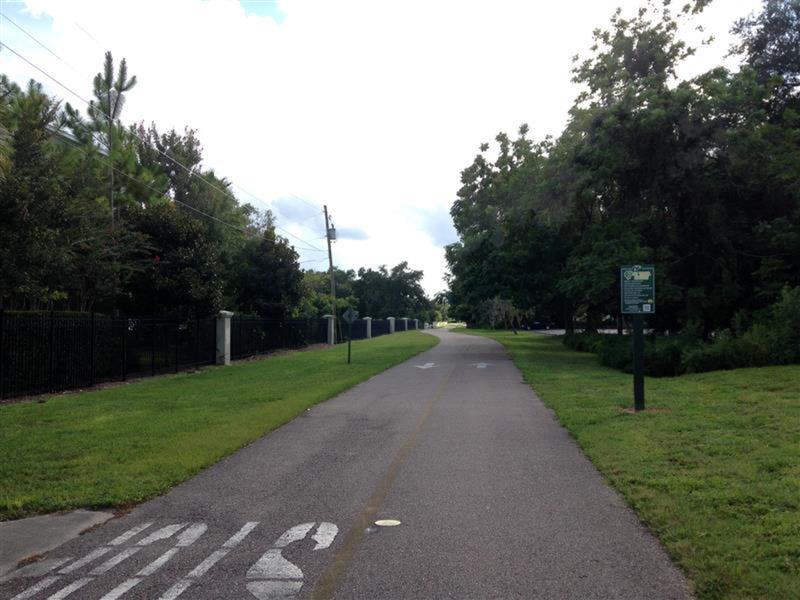 Most people in Central Florida are familiar with the Cady Way Trail, but you may only think of it as a commuter trail. If you are looking for a trail to use for your daily workout then the Cady Way trail is a great option. While the trail itself may only be 6.5 miles long, you can connect to plenty of other local trails to continue your ride. The Cady Way Trail is entirely paved and alternates been a single wide pathway and two paths divided by a median. In some areas the trail splits into two paths to go around large, established trees. This being Florida, the elevation gain is relatively low, but you will notice a few ups and downs as you make your way through. The largest climb will be the bridge that goes over Semoran blvd (436). In addition to the elevation, you will encounter blind curves where you will need to use mirrors placed along the trail in order to avoid other riders. Depending on the time of day, you will need to be careful in this area. The best part of the Cady Way Trail lies in the areas it connects. 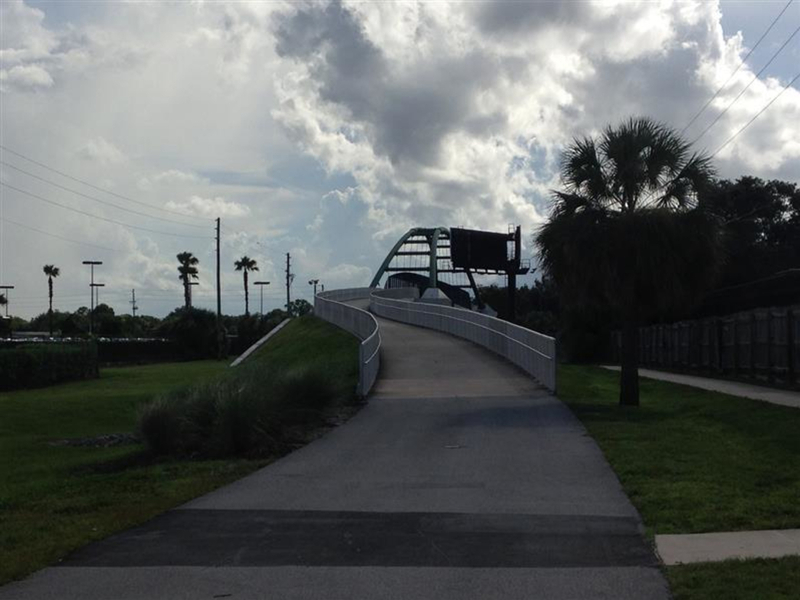 Starting at the Fashion Square Mall, the trail continues through Baldwin Park and Winter Park before connecting with the Cross Seminole Trail. By carving its way through the city you are able to jump onto the trail and easily get your workout in no matter where you live. Future expansions will link the trail with the Little Econ Greenway, which will open up the route to the University of Central Florida's main campus. Keep in mind this is a multi-use trail which is used by many people. Depending on the time of day you will encounter people running and walking their dogs. Be careful when passing in the narrow sections of the trail. As with any outdoor activity in Florida it is important to check the weather forecast before heading out. If you do get caught in the rain, many of the trailheads include a shelter. Also, remember to bring water bottles and fill them up along the way. Anyone looking for a great ride will enjoy the Cady Way Trail. Beginners will enjoy the convenience of the trail to downtown Orlando, while advanced riders will appreciate the flexibility of the route. While parts of the trail go through industrial sections of the city, there are also many shaded, wooded areas. These shaded sections help keep the heat off your back and enhance the enjoyment of the ride. Trailheads with parking, benches and water fountains can be found in many places along the trail. 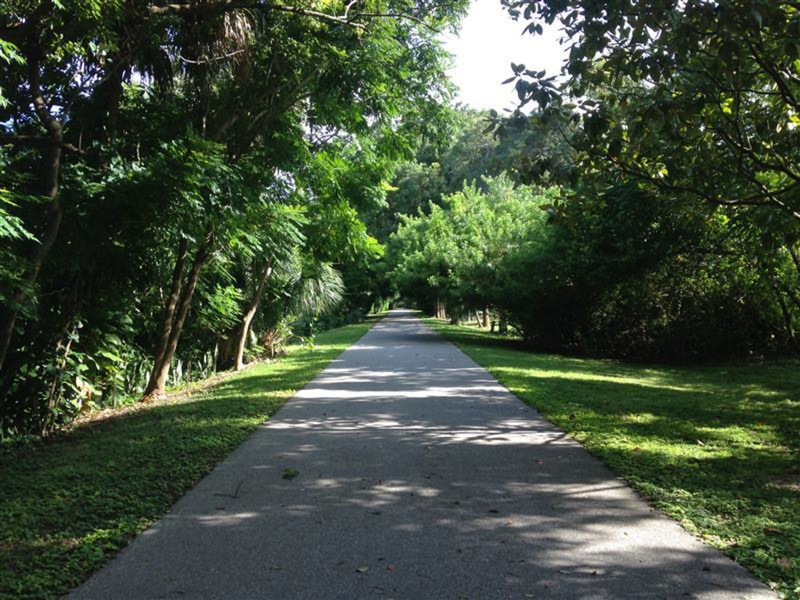 The trail starts at Herndon Avenue and continues on until the trailhead at Goldenrod road just before the trail connects with the Cross Seminole Trail. If you live in East Orlando and you're driving over to the trail, the Goldenrod trailhead is a great place to start before heading south.